Source, God, The Great Spirit, The Great Central Sun and known by many other names is the ultimate being of undifferentiated energy. It is a conscious being and is the creator of all pathways of other sentient beings. The SOULar source, this being is the ultimate light of the universe - both microcosmically and macrocosmically. The giver of all life, love, peace, death, rebirth, awakening and illumination. Every cell within our body holds a piece of this intangible, omnipresent, connective energy that is the very spark of life. When we are Source light we are all knowing, all understanding and all compassionate. We move with the energy of oneness co-creating the universe with all aspects of the divine. As we move towards the commonly known 'physical realm' the undifferentiated Source energy becomes refracted into various aspects of the human experience including the individual and all of the lessons that they must learn in order to grow and expand Source and the universe. The learning ground that comes before the human experience is a gradual slowing of vibration in order to become transdimensional in nature. This shifting of consciousness isn't so much a lowering of vibration it is actually slowing it which produces the more physical result. Because of this shift we often don't remember or perhaps comprehend our original undifferentiated energy as we move from ethereal into the physical - the great university of life. Also, as we the source light, refract our perfect self differentiates into the individual experience where the lessons become separate from the person. This creates the various experiences for the unification of the souls' holographic energy which through energetic processing expand the universe. In culmination with other refracted aspects of Source this melting pot of energy creates the most perfect synergy to 'attract' these lessons to the individual, hence the law of attraction here in the physical world. One of the most foundational purposes for human life is for the expansion of the omnipresent source, the universe and the human soul. Through our experiences as we learn the lessons set out by our soul energetic unification takes place. 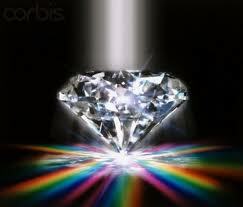 The once refracted energy forming both the individual and the lesson come together to form the 'ah-ha' moment. It is this very inspirational experience that binds the wisdom gained through the experience at hand as well as the individual's interpretation of the experience into the holographic energy environment within the human self. This unification of once refracted light/energy has the ability to move differentiated energy into a more uniform field creating an attraction for the next lesson. It also helps the individual to tap into the higher awareness of the interconnected world consciousness. Energy, experiences or 'lessons' that are of a certain likeness to the human self will become attracted to the individual whereas energy that is not of a likeness will be repelled by the core nature of the human self. What most people do not understand is that the laws of attraction and repulsion work on a myriad of different energetic ranges. For example simply liking something or wanting it doesn't produce the required energetic response in all of the various refracted elements of differentiated human energy. One must feel with every fiber of their being that the experience they want is already apart of them only slightly distant or dissociated in the present moment. They must have a knowing that what they wish to acquire in terms of knowledge or experiences is something that is already apart of them. Once put into action this philosophy can help the individual to attain a light body synergy that helps them to conduct reality, drawing to them the experiences they need at the soul level. This is more about recognizing the Soul's true desire and the attracting it. Because of the interconnected nature of the universe we, at the human level, cannot discern whether our soul's desire comes as a result of our previous experiences or if it is predestined. The important factor here is the awareness of our Soul desires remembering that nothing is coincidental. As the individual grows and their experiences become more and more attracted to them their light body becomes more integrated creating a faster sensation of time. The lessons that they learn for their soul's evolution creates the unified field bringing them back to undifferentiated light energy. This creates a transformation in vibration and the soul particle becomes universally unified back to Source. Their lessons and particular experiences are left behind in legacy for others to learn from creating the synergetic learning environment also known as the Great University of Life.